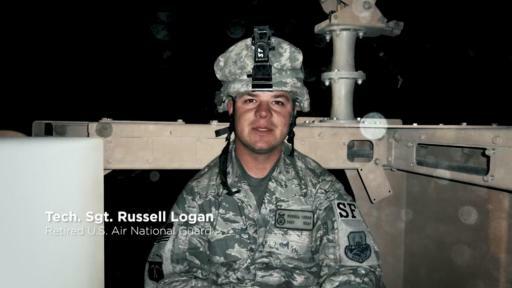 Former National Guard Tech Sergeant (Retired) Russell Logan, a first-year Warrior Games athlete will compete in cycling, archery and track & field. He is a father of three and served in the Air National Guard for 10 years until he was injured and assumed the position of Security Manager at the 164th Airlift Wing within the Tennessee Air National Guard. Lee Montgomery, a third-time competition manager of Wheelchair Basketball for the Warrior Games, has coached and mentored in the Games since 2011. He has played and coached Wheelchair Basketball for the last four decades and was inducted into the Hall of Fame in 2015. In addition to showcasing each man’s journey to the 2018 Warrior Games, Dove Men+Care Deodorant recognizes the other admirable areas of their lives as coaches, mentors, fathers, and leaders. Whether at home with their families, in the gym with their friends, or at work, these men are committed to doing what is best for those around them. To prepare themselves for each aspect of their day, they rely on the superior odor, wetness and skin protection that Dove Men+Care Deodorant provides. As part of the partnership, Dove Men+Care Deodorant is sponsoring the 2018 Warrior Games wheelchair basketball tournament and is supporting all participating athletes and their families by providing Dove Men+Care personal care products. The video series featuring Logan and Coach Montgomery will be displayed during the opening ceremony, in-stadium at all eleven sporting events and the closing ceremony. The 2018 Warrior Games will take place at the United States Air Force Academy in Colorado Springs, Colo. from June 1, 2018 to June 9, 2018. More information can be found at DoDWarriorGames.com. The DoD Warrior Games were established in 2010 as a way to enhance the recovery and rehabilitation of wounded, ill and injured service members and to expose them to adaptive sports. The 2018 Warrior Games will be held June 1 – 9 at the Air Force Academy in Colorado Springs, Colo. The Warrior Games are free and open to the public. About 300 wounded, ill and injured service members representing teams from the U.S. Army, Marine Corps, Navy, Air Force, U.S. Special Operations Command (SOCOM), United Kingdom Armed Forces, Australian Defence Force and the Canadian Armed Forces will participate in the competition. They will go head to head in 11 sports including archery, cycling and time trial cycling, indoor rowing, sitting volleyball, shooting, swimming, powerlifting, wheelchair basketball, track & field, engaging in friendly competition and experiencing the healing power of sports. For more information on attending, volunteering, covering or supporting the Warrior Games please visit DoDWarriorGames.com and follow the Warrior Games on Facebook at https://facebook.com/warriorgames. No Federal endorsement of sponsor is intended.